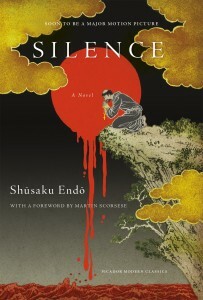 Originally written in 1966, Shusaku Endo’s Silence is a timeless classic of faith and the challenges of remaining true to oneself amidst hardship. Set in Japan in the mid-17th century, Silence tells the story of two Portuguese missionaries as they attempt to plant the “sapling” of Christianity among the Japanese. The shogunate was violently opposed to this sort of proselytism: Christianity was outlawed in the country and the slightest sign of piety was punishable by imprisonment, torture and death. Fathers Rodrigues and Garrpe arrive in Japan (by way of Macao) after hearing word that a previous missionary and former mentor, Father Ferreira, had apostatized (renounced his faith). But not even the Book of Job could prepare them for the challenges, both of body and spirit, that lay ahead. It is important to mention that this edition of Silence is a re-release of the original 1969 translation by William Johnston, complete with his excellent and contextualizing introduction. Johnston’s text is an asset and will grant readers a grasp of the historical horrors of this era of Japan, but although it is an essential read it does feel a little strange that over forty-five years have passed without another scholarly take. Martin Scorsese’s foreword, new to this edition, provides a casual new voice but he focuses more on his motivations for adapting Silence into his forthcoming film and less on providing any new textual insight. While Japanese Christians are drowned, crucified, and bled, upside-down, over a pit of excrement, God remains silent. Rodrigues aches to hear some reply, but perhaps he’s not listening the right way. Endo is often heavy-handed with his metaphors. There’s a central question to Silence – why would God remain silent amidst such suffering – but beyond that enigmatic query there is little room in Silence for anything else. Yet Endo does find an opportunity for some creativity in the “ambience” of his novel: despite Rodrigues’ repeated cries for God to break his silence, Endo repeatedly sets his scenes with as much natural noise as possible. After two Christians are drowned, Rodrigues listens attentively for God but “cannot bear the sound of the dark sea gnawing at the shore.””What a sombre chorus it was,”he thinks in one scene, “the croak of frogs and the caw of ravens!”Well-timed flies repeatedly buzz the oblivious narrator, who is also deaf to the pattering of raindrops, the clamor in the streets, and the “voice of the cicadas.”Silence is a remarkably noisy book, but the repeated choreography of nature’s hum grows somewhat tiresome. What does the fly mean, Endo seems to ask us, again and again. He reminds us repeatedly throughout the book that he’s loaded that metaphor with potential. These clues pulse with conspicuity, as if solving their mystery will open up the novel’s singular, deeper meaning. Silence remains a small sort of masterpiece in its presentation of an expansive theological discussion in such a simplified, accessible way. Although there may be only one way to give Silence a deep reading, the wide range of unleashed ideas will speak volumes. Originally written in 1966, Shusaku Endo’s Silence is a timeless classic of faith and the challenges of remaining true to oneself amidst hardship.